Visual Studio Code>Themes>Chromodynamics ThemeNew to Visual Studio Code? Get it now. A dark color scheme from MagicStack. This is a color theme for Sublime Text, Atom, and Visual Studio Code. 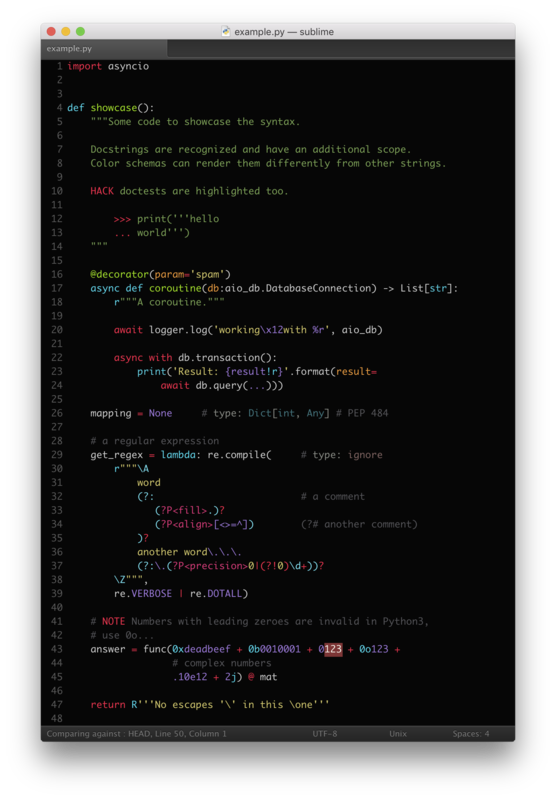 The Python source code in the screenshot is highlighted with MagicPython. In Sublime Text install the Chromodynamics package with "Package Control". In Atom find the Chromodynamics theme, install it, and enable via Themes / Syntax Theme. In Visual Studio Code find the Chromodynamics theme, install it, and enable via the Preferences: Color Theme command.